ART 360 (ART THREE SIXTY) is a project that archives exhibitions in 360° videos and distribute them globally. 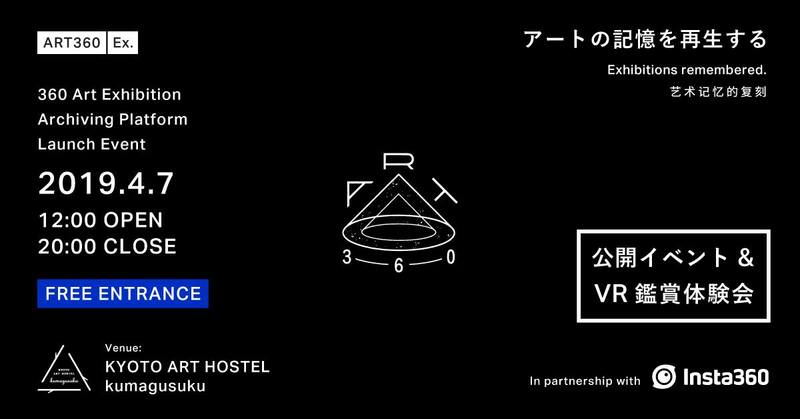 ART360 will organize launch event and unveiling VR headset booth at KYOTO ART HOSTEL kumagusuku. We are looking forward to meeting you.